Bowl diameter 4.5", height 2 3/8". 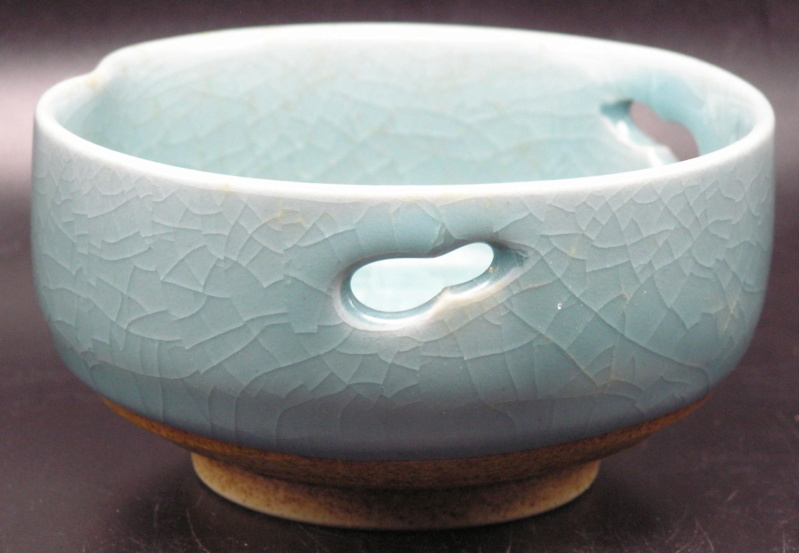 The glaze has a layered crystalline look where it is pooled in the bottom. 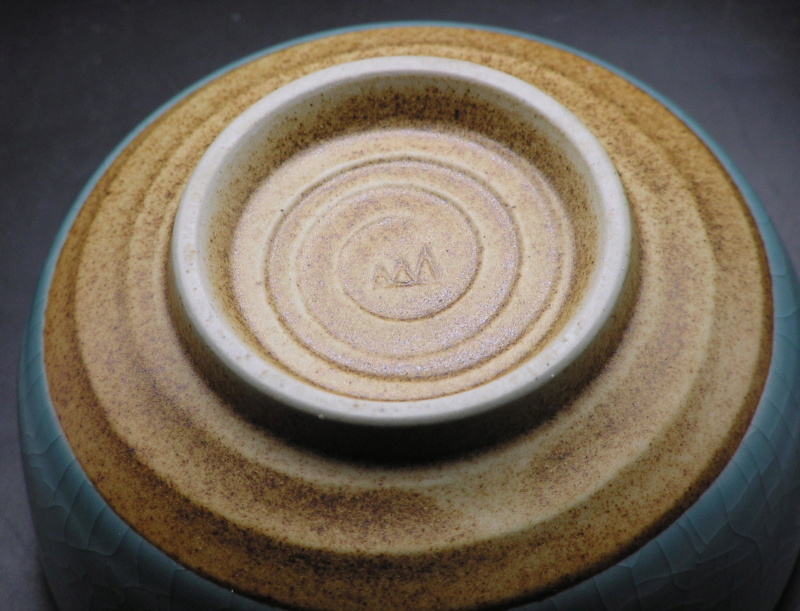 Laurentian Pottery in Canada used a somewhat similar "3 trees" mark but the trees were all the same height. It's Asian - probably Japanese, I've seen the same glaze in hagi-ware, but this looks like a factory made table ware piece. 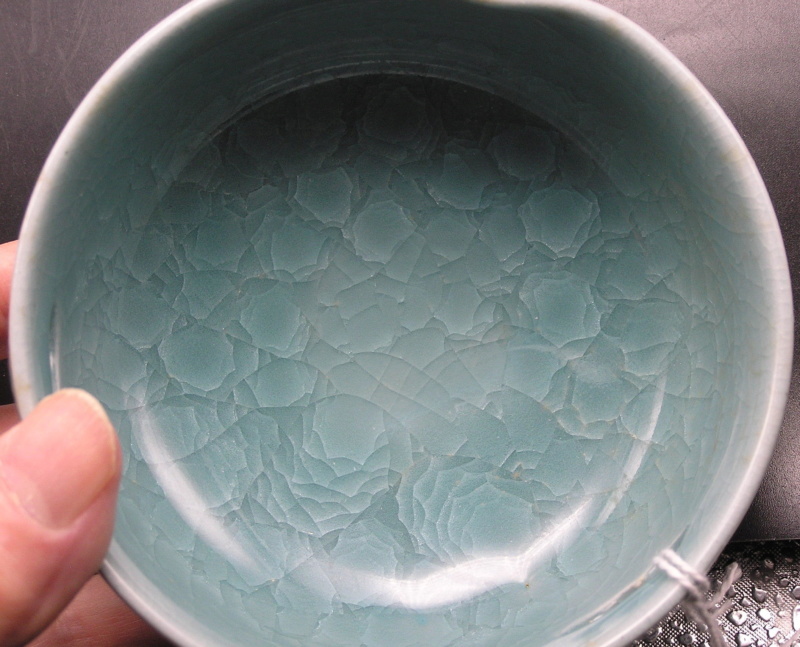 The ice-floe glaze is celadon, which forms the cracks through controlled cooling after firing.